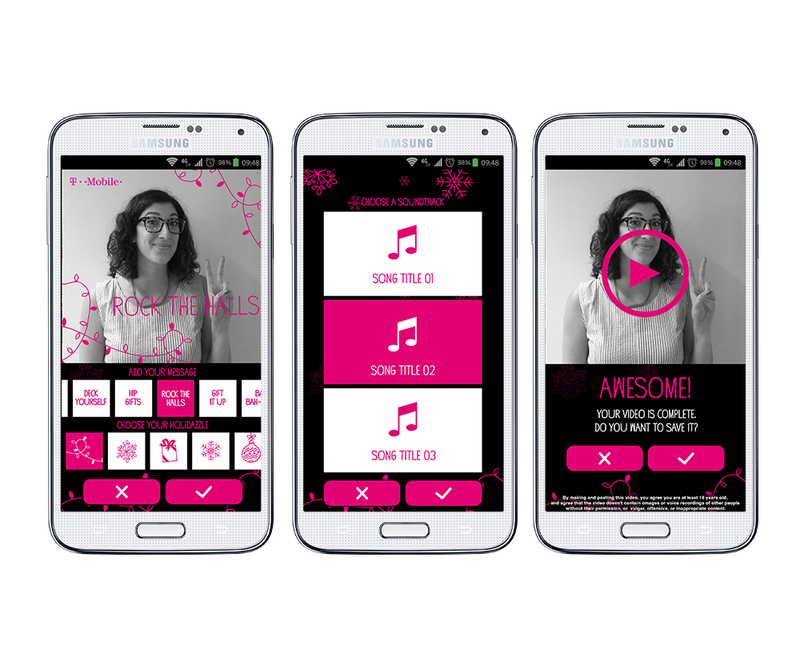 Holidazzler is an in-store app for T-Mobile highlighting the Samsung Note 4. Holidazzler gave customers a photo booth experience skinned with T-Mobile holiday graphics and seasonal illustrations. customers could create a fun holiday GIF to send their friends and family via social media. I lead the conception of the visual and product design of the app.